Pat O'Brien's in Universal CityWalk Orlando. Pat O'Brien's is located between Fat Tuesday and Bob Marley - A Tribute to Freedom in Universal CityWalk Orlando. Pat O'Brien's is a famous drinking spot in the French Quarter of New Orleans. 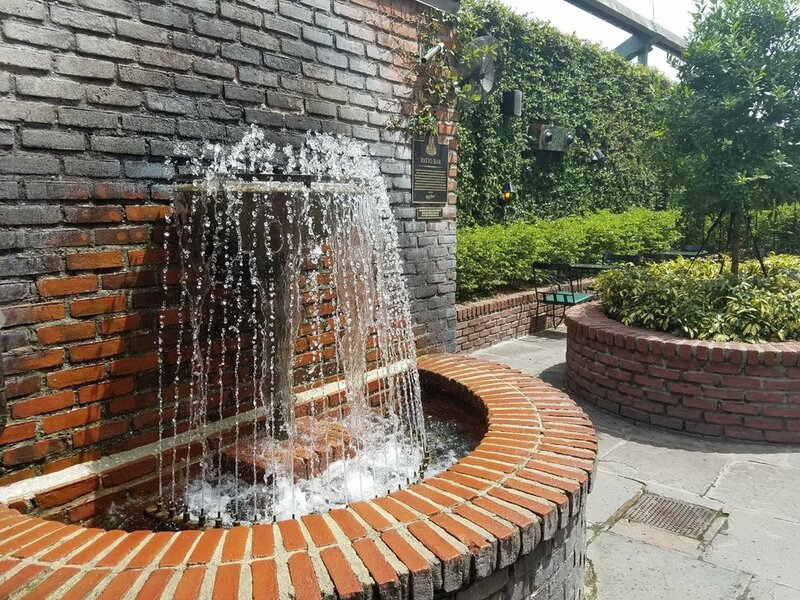 The Pat O'Brien's location in Universal Orlando is a replica of the New Orleans hot spot, complete with courtyard dining and a Flaming Fountain patio. 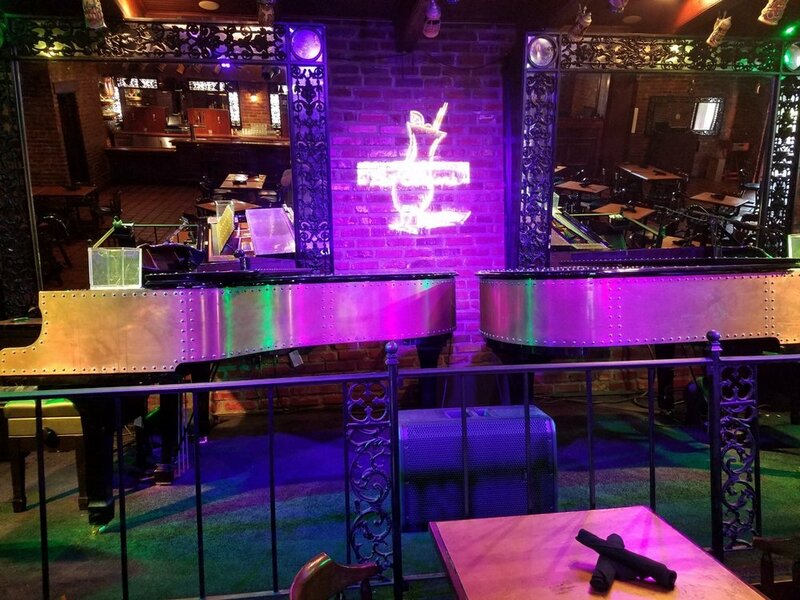 The big draw of Pat O'Brien's (other than the big yummy drinks) is the Piano Bar, which provides nightly entertainment and opportunities for drunken sing-alongs. 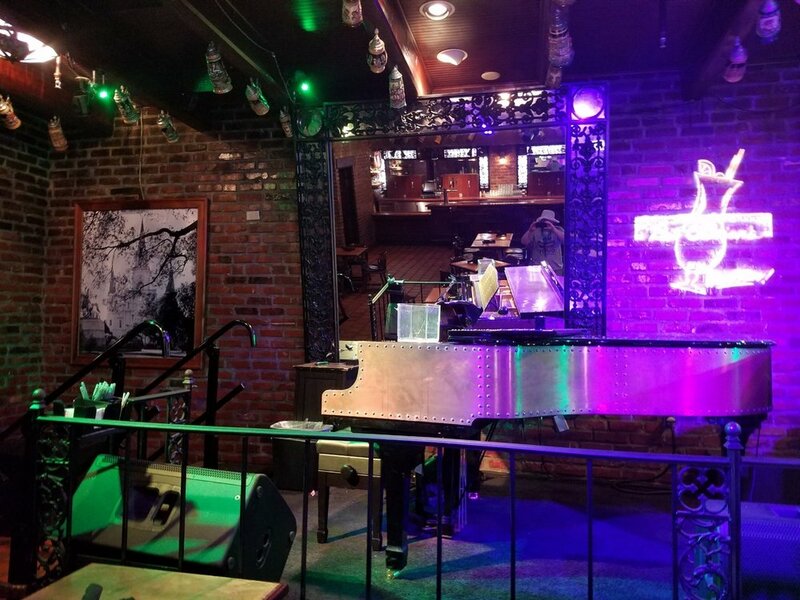 From opening time until about 8:30, a single piano player performs; another player joins in after this time, and the pianos duel until closing time. The Pat O'Brien's menu has a lot of Louisiana-style cuisine. Some examples include Cajun appetizers, Creole Chicken, Jambalaya, Louisiana Blackened Redfish, and Crawfish Etouffee. You can also get a N'awlins Po'Boy and a Bag of Beignets if you really want to feel like you're in New Orleans. Although there is plenty of food, Pat O'Brien's is probably most well-known for their drinks, particularly the world famous Pat O'Brien's Hurricane, a mixture of 151 rum and hurricane mix. This specialty drink is quite large and is served in a souvenir glass with the Pat O'Brien's logo on it. You can use your Universal Orlando annual pass to get discounts at Pat O'Brien's. Preferred Pass holders save 10 percent; Premier Pass holders save 15 percent. There is a $7 cover charge to get in after 9:00 pm. This cover charge is waived for on-site hotel guests and visitors with a CityWalk Party Pass. Meetings, events, and special parties can be booked at Pat O'Brien's by calling 1-888-266-2121 or visiting the Universal Orlando meetings and events page. 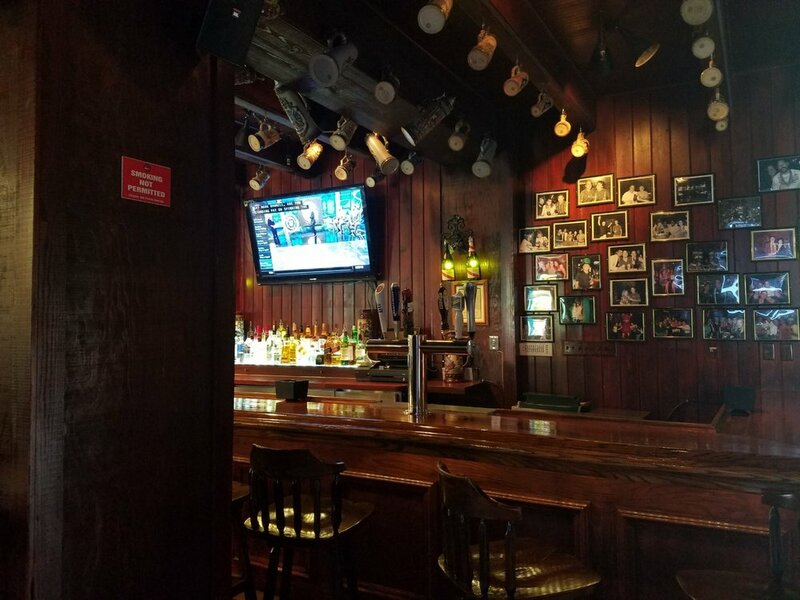 Pat O'Brien's is open every single night from 4:00 pm to 2:00 am. You should visit before 9:00 pm to avoid the cover charge. You have to be at least 21 years old to visit the Piano Bar after 9:00 pm. Reservations are not required at Pat O'Brien's on most nights, but they can be made by calling 407-224-FOOD (3663). The restaurant recommends not making reservations more than one month in advance of your visit. The outdoor patio at Pat O'Brien's in Universal CityWalk Orlando. Piano player in the Piano Bar at Pat O'Brien's in Universal CityWalk Orlando. All sandwiches are served with seasoned fries. Onion rings can be substituted for $1.95. *Menu prices last updated January 2018. We've had a lot of fun at Pat O'Brien's and consider it a good place to get something to eat or drink. 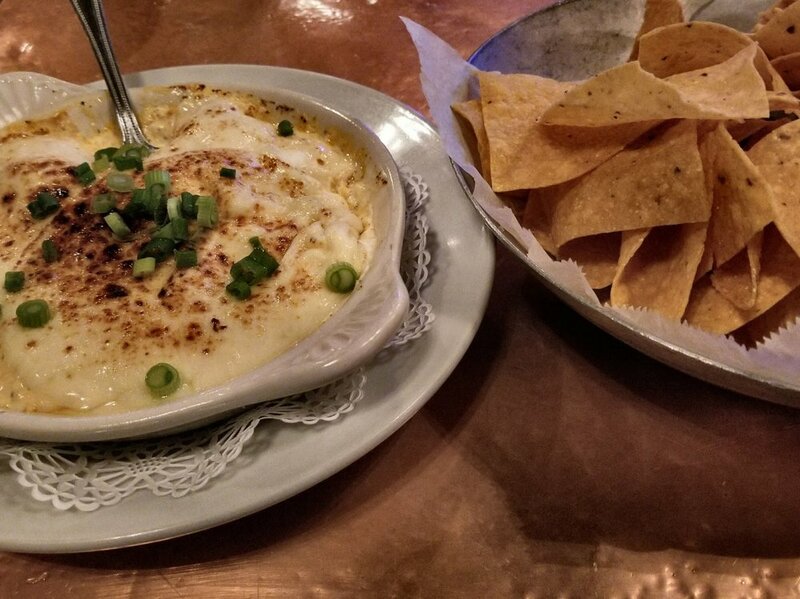 We like the Crawfish Dip as an appetizer and the Bag O' Beignets for dessert. The last time we had the Bread Pudding, it was covered in an obscene amount of cinnamon, but that may have been a kitchen accident. The drinks here can be really strong, so keep that in mind as you are throwing them back. Our favorite thing about Pat O'Brien's is the Piano Bar. The piano players are very talented and take requests all night long. It is fun when the crowd knows the song and sings along. Although there is no charge to request a song, the piano players do appreciate tips. You can show your appreciation by slipping something into the tip jar they keep near the piano. If you find yourself missing the drinks at Pat O'Brien's once you return home, you can order drink mixes from Pat O'Brien's online. Most mixes, including the world famous hurricane mix, can be purchased for about $5.00. Other items in the online shop include apparel, glassware, souvenirs, and gift cards. 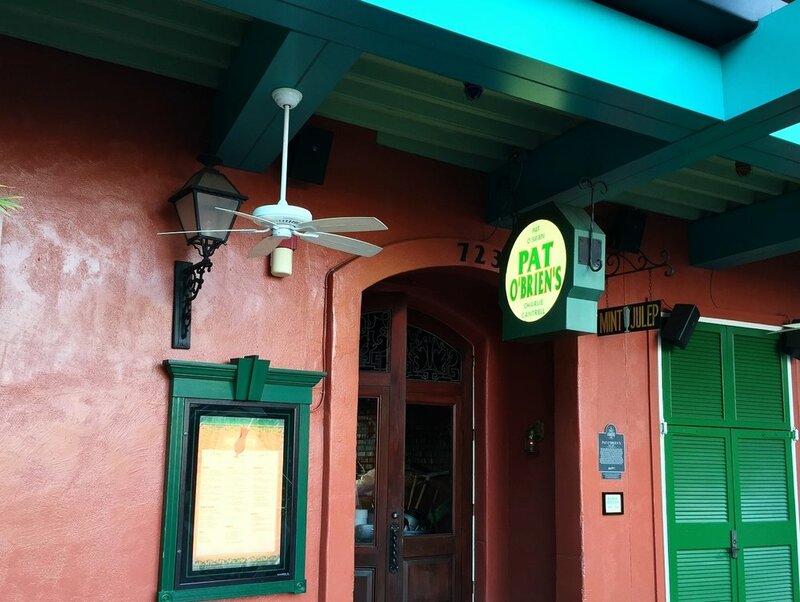 See pictures of the bars, seating, and outdoor patio at Pat O'Brien's. 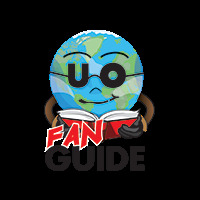 This Universal CityWalk Orlando map makes it easy to find Pat O'Brien's. Just look for number 03 on the map. Pat O'Brien's is represented by the number 03 on this map.